Not only since the fi rst class album A Thousand Faces (2010) the seven musicians are well known for their skillfully Ska/ Reggae mix. This release is a live recording from their show on 06/03/2011 and contains songs of the releases Stoned Steady , Little Planet , A Thousand Faces and Marie Juana , including the popular cover song classics (THE BEATLES / I Will , THE FUGEES / My Love Is Your Love . The band moves easily and swinging through a 16 songs strong set and knowns how to convince with these new and old songs. 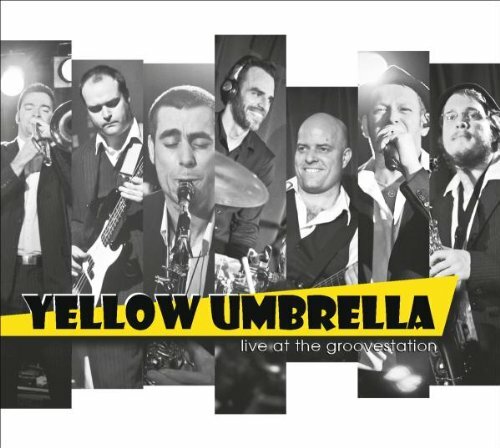 Accompanied by the cheers of the audience , YELLOW UMBRELLA deliver a perfectly staged live album. If you have any questions about this product by Pork Pie (Broken Silence), contact us by completing and submitting the form below. If you are looking for a specif part number, please include it with your message.